The excellent art of wine-making does not require muscles, but brains. The Winery ‘Casato Prime Donne di Montalcino’ (in the province of Siena) starts from this belief and aims at excellence. 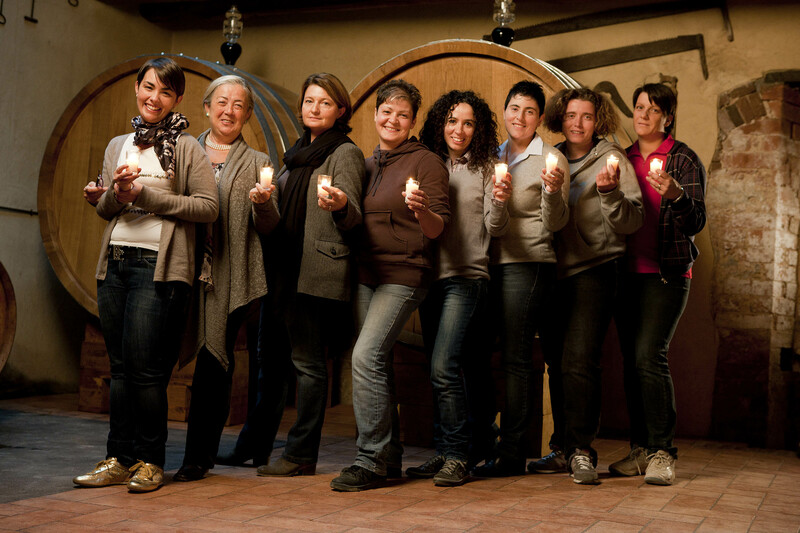 This is the first Italian winery whose staff is completely constituted by women. 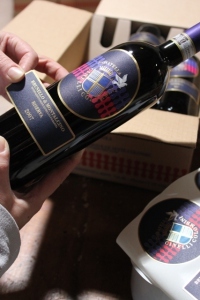 The affirmation of equal opportunity is the value which gave birth to this project, started in 1998, by the resourceful entrepreneur from Siena Donatella Cinelli Colombini, a descendant of one of the historical families of the Brunello di Montalcino’s territory. 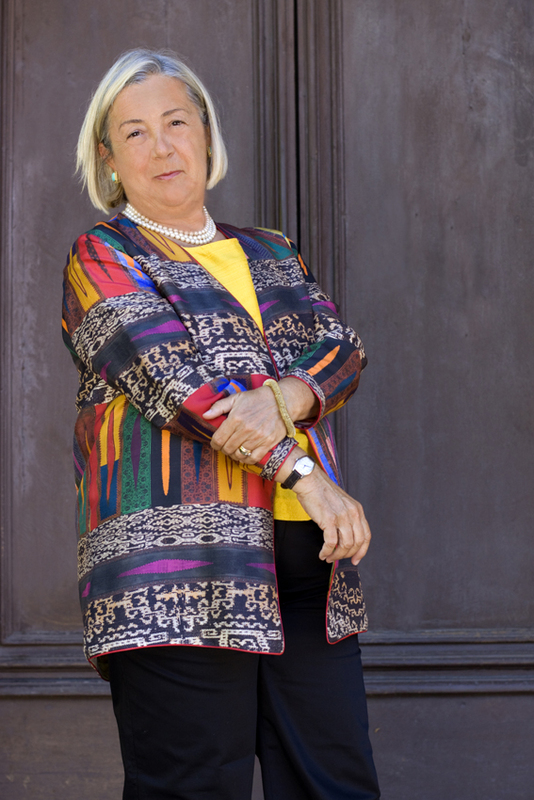 Donatella is a standard-bearer of wine tourism, she founded the event ‘Cantine Aperte’ and won the prize as Best Italian producer in 2003 as well as the International Award ‘Vinitaly 2012’. On June 2nd last, she was also awarded the title of ‘Cavaliere al Merito della Repubblica Italiana’. There are two ‘Cinelli Colombini’ farms: the ‘Casato Prime Donne’, belonging to the family since 1592 and where three types of DOCG Brunello and DOC Rosso di Montalcino are currently produced; and the ‘Fattoria del Colle’, located in Trequanda (in the province of Siena), at the border between Chianti and DOC Orcia, which includes a county inn, a restaurant, a cookery school, and a spa, as well as a winery, where extra virgin olive oils and many wines are produced. Altogether, the production consists in about 150-180,000 bottles per year. 75% of the total proceeds of sales is exported. 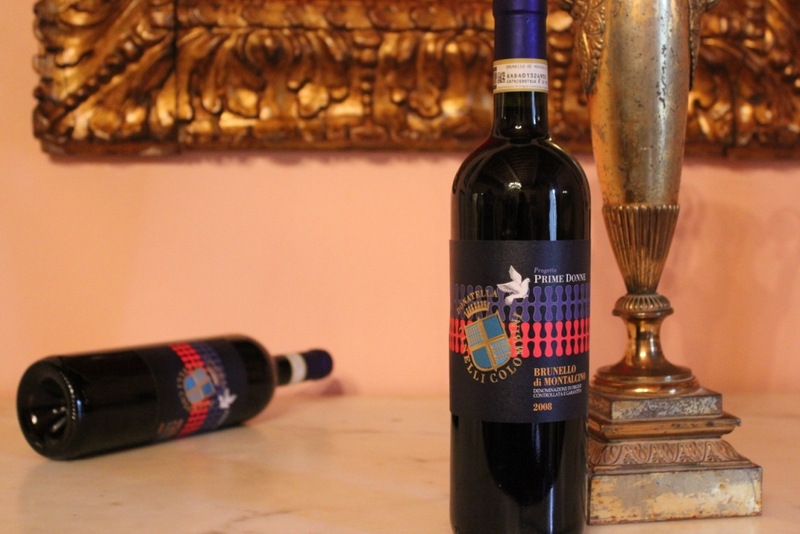 The wine on which all the company philosophy has been built is the DOCG Brunello di Montalcino Prime Donne Selection. It is produced in the cellar thanks to the work carried out by women only, destined for female consumers and led by a panel of 4 female tasters, in order to give preferance to women’s taste. This wine is mostly required in the USA, United Kingdom, Canada, Russia, and China. It is characterized by an intense and a bright ruby ​​red colour, fine and spicy aroma, and a dry, harmonious, warm, soft and persistent flavour, ideal in combination with rich courses with meat and mature cheeses. The DOCG Brunello di Montalcino is different. It is characterized by a dark ruby ​​red colour, which becomes garnet with ageing, a clean and rich aroma, with hints of spice and red berries, and an elegant, full, balanced taste, long with a particularly pleasant end. 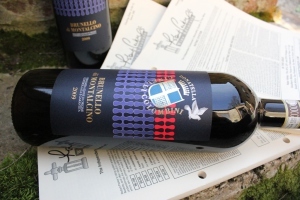 The flagship of the company production is the Brunello Riserva, aged three and half years in oak barrels and cossetted more than any other wine, at the beginning in the vineyard and then in the cellar. It is characterized by austere and graceful elegance, refined, clean and complex scent, with balsamic and spicy notes, and a hint of red fruits, broad, intense, velvety taste, with a note of bitter almond which pleasantly remains in the mouth. It is mainly exported to Russia, China, USA, and Canada. «I believe that the success of my company, at an international level, too, results from linking our company project to strong and widely shared values, mainly aimed at strengthening women’s role both in the workplace and in society. 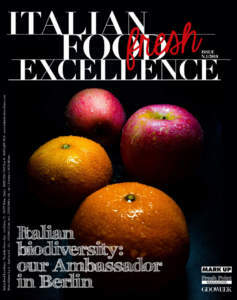 Achieving the shared development of the entire DOC Orcia land, with the enhancement of the autochthonous vine ‘Foglia Tonda’, too, has been very important. My greatest satisfaction? 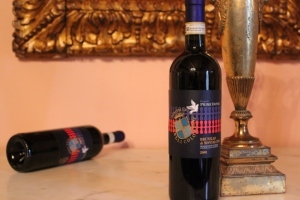 Certainly the ‘Vinitaly International Award’, which I received in 2012 along with the ‘Master of Wine Debra Meiburg’, in addition to the title of ‘Cavaliere al Merito della Repubblica Italiana’. 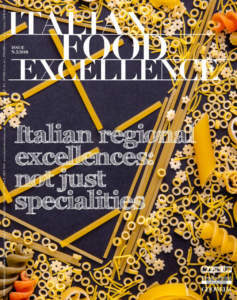 Our winery with its all-female staff, and the Brunello ‘Prime Donne’, as well as the journalistic and cultural international award ‘Casato Prime Donne’, were born with the aim of enhancing women’s role as managers, tasters, and even consumers of wine: the growth of women’s opportunities in the world of wine has been and will continue to be the leading value of my activity». 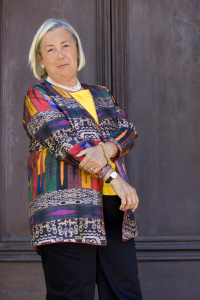 Donatella says: «I am deeply bound to Brunello di Montalcino: its international success accompanied my youth and my maturity, so that I virtually lived in symbiosis with it. 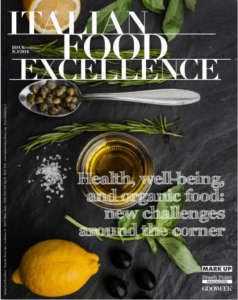 We currently export our products to 31 Countries through importers who, in most cases, are national and franchisees; only two of these Countries exceed € 100,000 in proceeds of sales. The next goal we set for ourselves, then, consists in growing in at least 4 of the most promising markets. In addition, we intend to continue our work of qualification for vineyards and wines, through the project ‘Prime Donne nel cuore’, which consists in defining the best areas of the vineyards looking for excellence in every phase of our production. It is approximately what is done in aeronautics with space launches and cars with F1. In practice, our research will focus on small amounts - in our case about 600 bottles a year for each type - with the aim of transferring the acquired skills on the whole production. 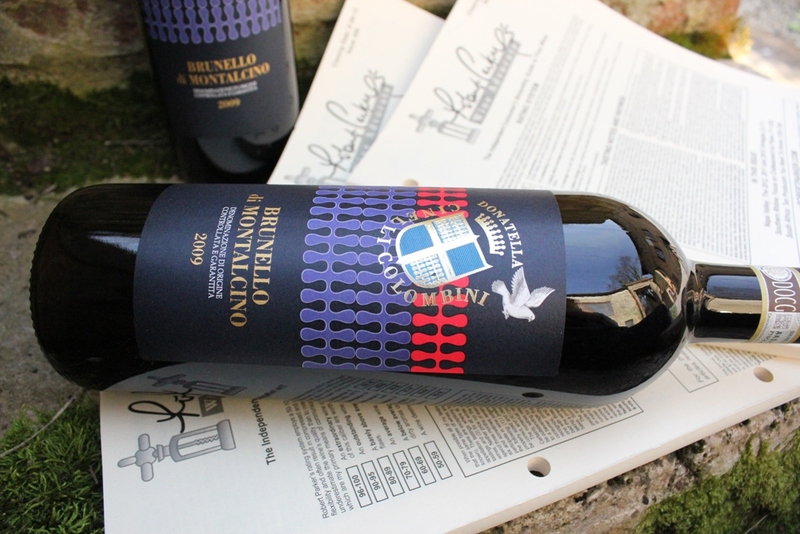 The first result of this strategy will be the ‘Brunello 2010 - Io sono Donatella’, whose release is planned to coincide with Vinitaly 2015».